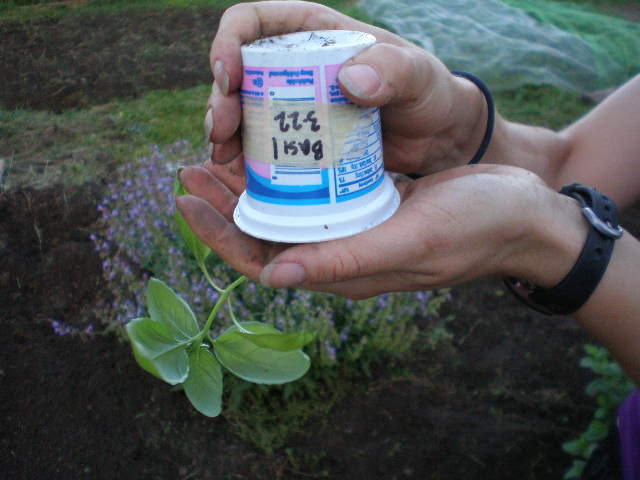 Tonight was all about transplanting. 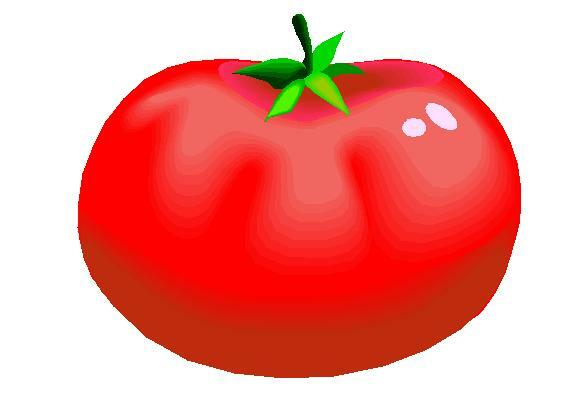 No not organs – plants! Remember the little seedlings I cared for all spring indoors? Well this week I’ve been moving them to their more permanent homes in the garden. Finally the timing is right. I’m not out of town, it’s not threatening a light frost at night, the ground is actually not sopping wet, and I actually have some time. The stars have aligned! 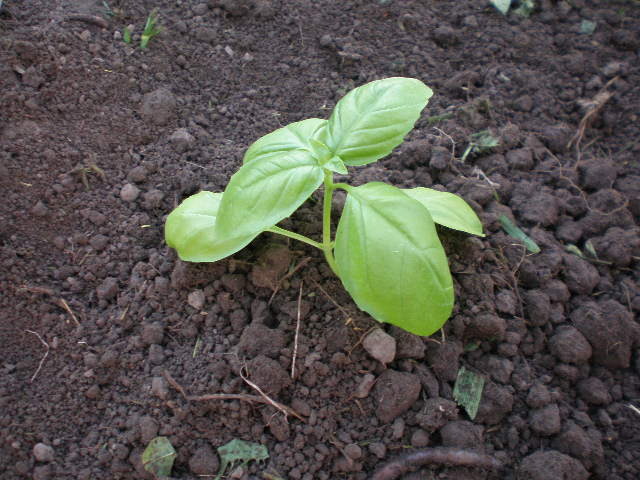 I transplanted 2 basil seedlings and 9 pepper seedlings of various varieties. 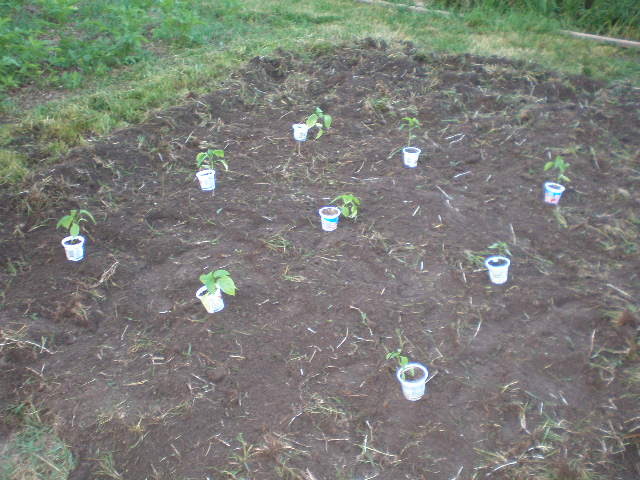 Earlier this week I transplanted 10 tomato seedlings. 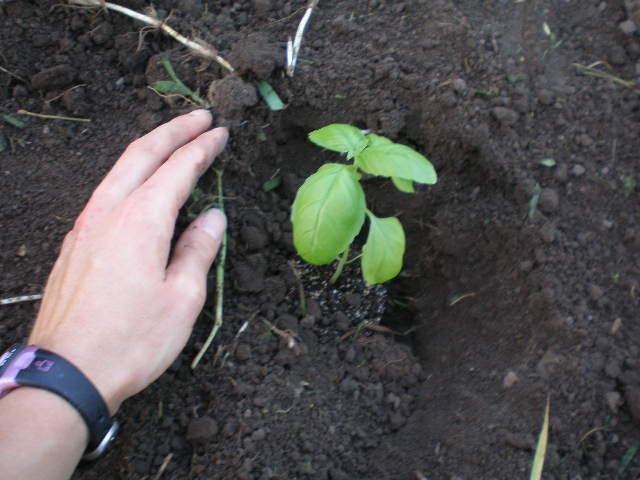 I planted my pepper seedlings 2 feet apart in all directions. Some books I’ve read say you can do 18 inches if you don’t have that much space. The next step is to dig a hole. I use a little hand shovel, not the big shovel I used for building zucchini hills. 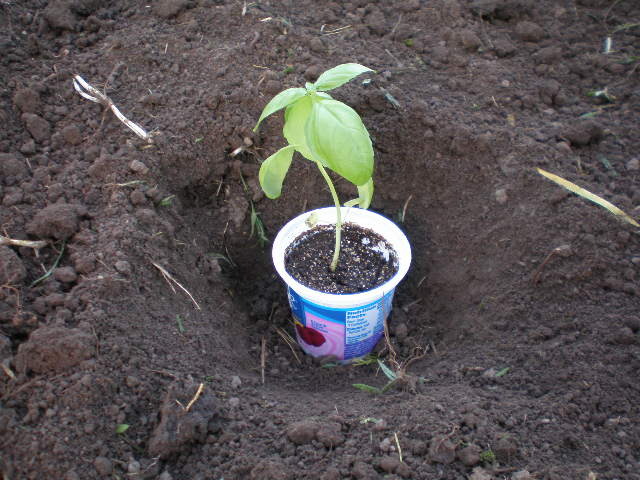 Dig the hole deep enough to bury the plant all the way up to its first true leaves (bury the cotyledons). To see if it’s deep enough I set the whole container in the whole first, before I take the plant out. Once the hole is deep enough it’s time to take the plant out. Turn it upside down and gently squeeze the container to loosen up the dirt ball. Then just pop off the container! Set the plant down in the hole. Try not to disturb the roots too much. 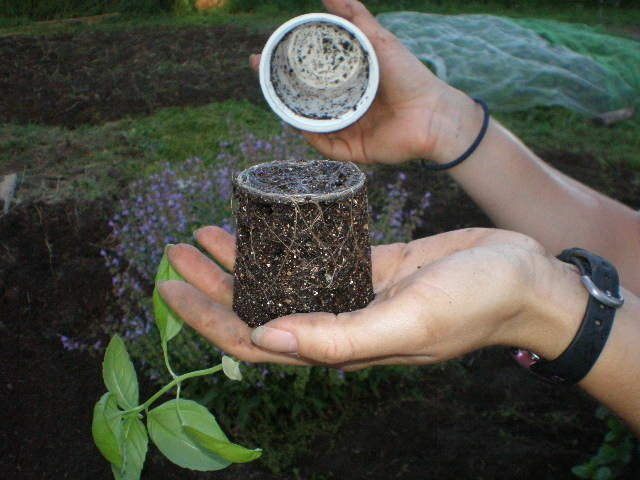 Then gently sweep the dirt around the plant and pat it around the base. Now repeat that 10 more times. Yeah my legs are sore from squatting. In other garden news, I now have four zucchini plants. They are getting their true leaves now. That’s four out of six that have sprouted. I’m happy with that. Maybe the other two will come up but if they don’t that’s okay. The mulberries are getting ripe! I’m actually not a big fan of mulberries. For some reason they skeeve me out. But they are free berries in my backyard so I feel obligated to use them in some way. 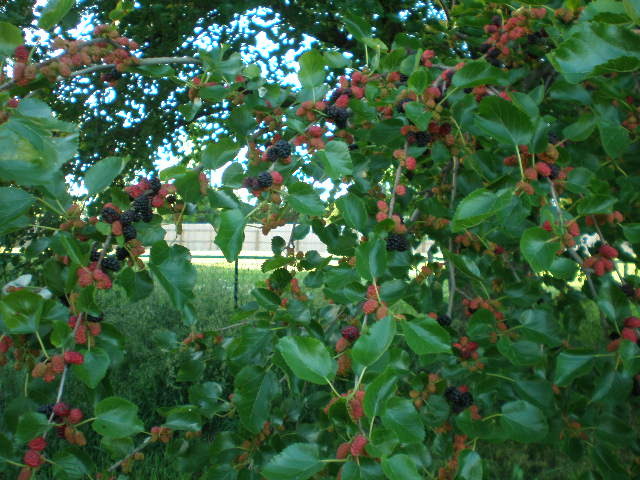 I’m going to try making some mulberry jam this year at least. But once this tree is done with the berries, this entire branch is getting chopped off to make way for sunlight for my watermelons. The tree has just grown too much over the garden in the past year. Well I’m tired from gardening and running so I’m hitting the showers and then the hay. Tomorrow is Friday and then its a holiday weekend. Wahoo! 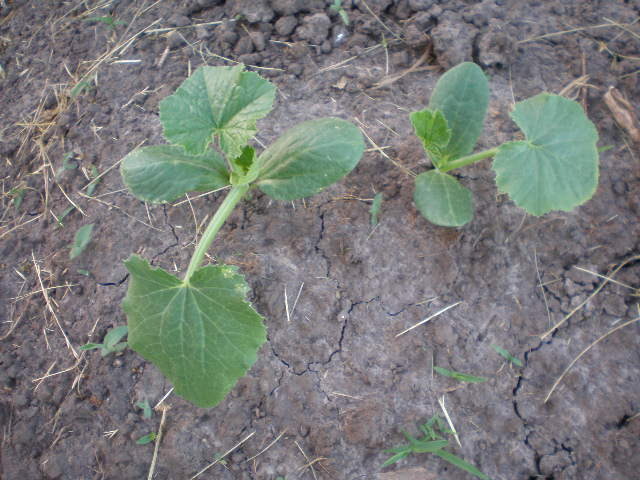 My zucchini plants look about the same as yours. I love mulberries and eat them raw off the tree and in fact, we went to visit a friend of my wife who owns a 20 acre horse ranch and she has white mulberries that were just sooooo good! I couldn’t stop eating them.